Showing results by author "Laura McDonald"
Why Be Rich When You Can Have This Much Fun? From the founders of GoldenGirlFinance.ca comes a new book on how to get your financial house in order and enjoy the freedom and happiness that comes with a secure financial future. In 10 Ways to Stay Broke...Forever, you'll learn why focusing on living well now is almost always a path to poverty later. You might have a new car, a beautiful house, and a wardrobe to die for, but you're shortchanging yourself if you haven't started saving and investing for retirement. 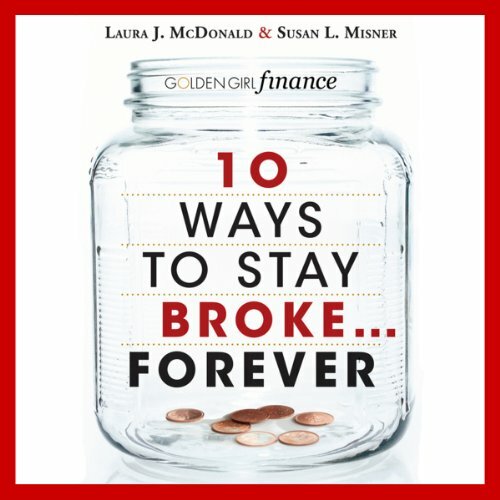 In 10 Ways to Stay Broke...Forever, personal-finance gurus Laura McDonald and Susan Misner show you how to start planning for tomorrow today.